In October of 2007, NEMCOG initiated a one-year planning effort funded by the Michigan Department of Transportation. 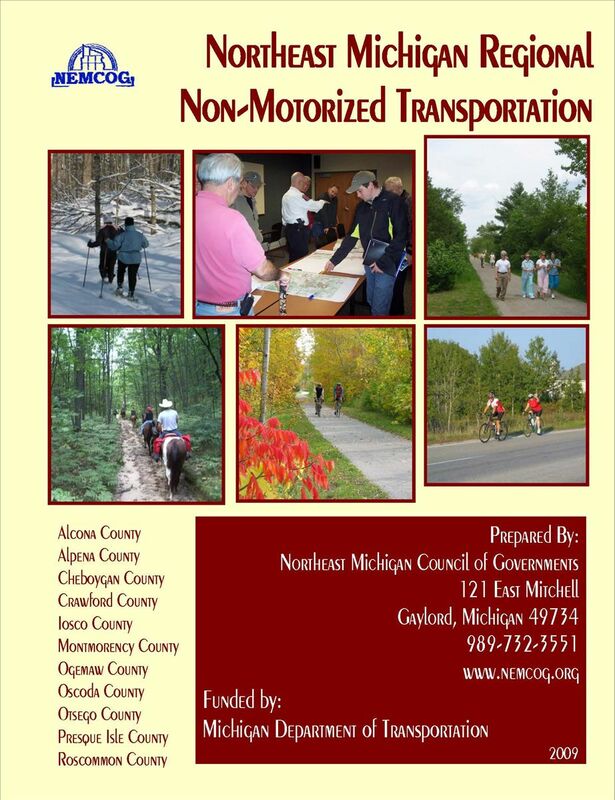 The purpose was to develop a comprehensive, regional NonMotorized Transportation Plan and Investment Strategy for Alcona, Alpena, Cheboygan, Crawford, Iosco, Montmorency, Ogemaw, Oscoda, Otsego, Presque Isle and Roscommon Counties. The plan prioritizes projects, identifies funding sources and guides investment in the region's non-motorized transportation system. Trail sign designs are available for our local communities who choose to erect trail signage as part of the Up North Trails program - a trails promotional program for the 21 counties in Northern Michigan. Download the trail sign design guidelines. View some general cost estimates for the trail signs. 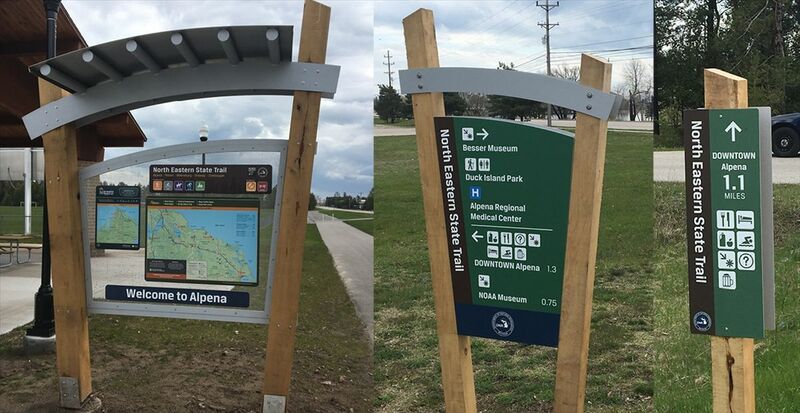 View photos of trail signs installed in NE MI in 2017, funded by a USDA Rural Business Enterprise Grant awarded to NEMCOG.